Christian Laettner is widely considered one of the greatest college basketball players of all time. 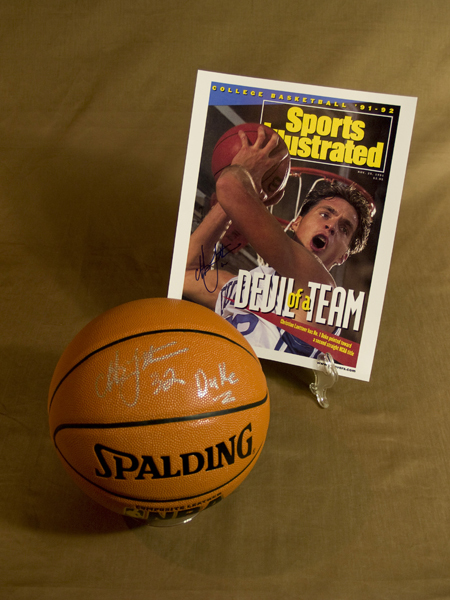 During his four-year collegiate career at Duke University, Laettner averaged 16.6 points and 7.7 rebounds per game, and twice earned All-American honors while leading the Blue Devils to consecutive NCAA Championships in those years. He is the only player in NCAA Tournament history to start in four consecutive “Final Fours.” In 1992, Laettner was voted College Basketball Player of the Year, and was selected third overall in the1992 NBA Draft. He was the lone college player selected to the original 1992 “Dream Team” which captured the gold medal at the 1992 Olympics. 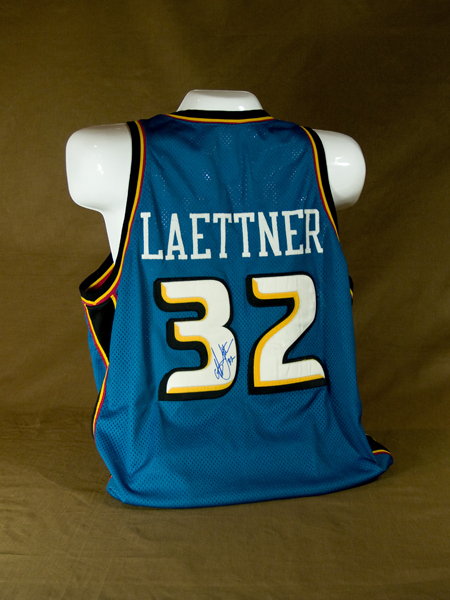 During his 13-year NBA career, Laettner played for five teams, and averaged 13 points and 7 rebounds per game. He was named to the 1992-93 NBA All Rookie team, and the 1996-97 All-Star team. At a muscular 6-feet 11-inches, Christian Laettner could easily intimidate opponents on the basketball court both physically and verbally. And he did in a 17-year collegiate and professional career at Duke University and in the National Basketball Association. 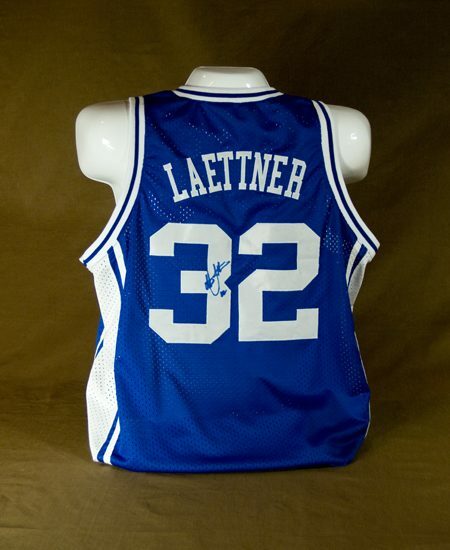 Coming out of Nichols School in Buffalo, New York, Laettner was recruited by everyone. He picked Duke because he admired both Coach Mike Krzyzewski and the school’s high academic standing. 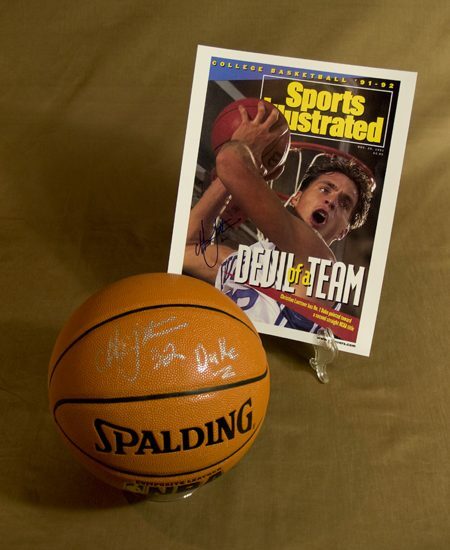 Unlike most collegiate players today who leave the collegiate game after one or two years, Laettner played all four years for the Blue Devils (l989-l992) and along with Coach K and teammate Bobby Hurley they led Duke to NCAA national championships his junior and senior seasons. All three are now in the National Polish-American Sports Hall of Fame. Krzyzewski was inducted in 1991 and Hurley in 2006. Mike Gminski, Duke Class of l980, became a Hall of Famer in 2003. Perhaps the biggest and most exciting last-second shot sent Duke to the Final Four in l992. With Kentucky leading, 103-l02, and 1.6 seconds to play in overtime, Laettner drained a picture-perfect jumpshot from the top of the key. What’s remarkable is he made all 20 of the shots he took in the game, which included l0 of l0 at the free throw line. As a sophomore in 1990, he hit a similar shot at the buzzer to eliminate Connecticut, 79-78, and finish with 23 points. Laettner’s breakout game was in his freshman year when the Blue Devils upset Mourning-led Georgetown, 85-77, to advance to the Final Four on his 24 points and nine rebounds. Duke was humiliated, 103-73, by UNLV in the l990 NCAA title game, but bounced back to win it all the following year. 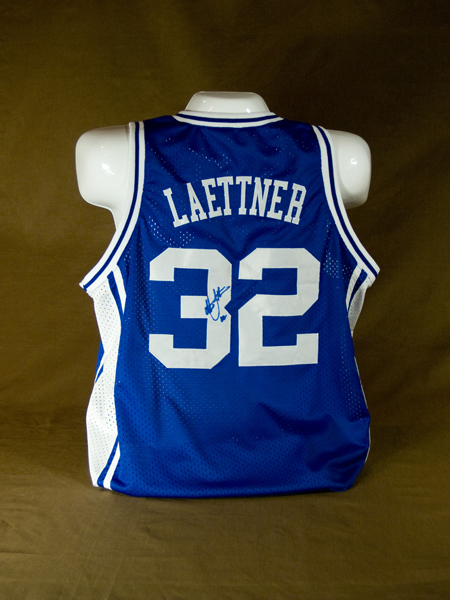 Laettner scored 125 points in the six games that concluded with a 72-65 victory over Kansas in the championship game. The underdog Blue Devils opened with a 79-77 victory to end UNLV’s 45-game winning streak. With the score tied and 12.6 seconds left to play, Laettner ripped away an offensive rebound and was fouled. He calmly swished both free throws for the win, finishing with 28 points and holding Johnson to just 13. Two nights later in the championship game, an exhausted Laettner scored only three baskets against the Jayhawks, but he was l2 of 12 in free throws. The 235-pound center and power forward played 148 games during his four year career in Durham, North Carolina – a 16.6 average. His points per game increased every year to 21.5 as a senior, when he was selected the collegiate “Player of the Year.” Laettner is the only player to start in an NCAA Final Four game four consecutive years. His next jump was into the professional ranks and he was the third pick overall in the NBA draft by the Minnesota Timberwolves. He made the All-Rookie team in l993 and played once in the All-Star during his 13-year pro career. Laettner played three and a half seasons In Minnesota before being traded to the Atlanta Hawks. He increased his weight to 255 pounds and settled in as a power forward, finishing with a respectable 12.8 scoring average (11,121 points in 868 games). On the defensive side, Laettner hauled in an average 7.7 rebounds a game. In his first six seasons in the NBA, Laettner never averaged less than 14 points a game. After Atlanta he played two seasons for the Detroit Pistons (l998-99 and l999-00), followed by stints with the Dallas Mavericks,Washington Wizards and the Miami Heat. In addition to his college and pro career, Laettner is most proud of being selected to represent his country in international basketball competition. He was a member of the United States team in the l99l Pan American Games. The following year he made the U.S.“Dream Team” for the Olympic Games in Barcelona, Spain and his Duke mentor Krzyzewski was an assistant to Head Coach Chuck Daly. And Laettner, the All-American “Polish Boy” came home with a Gold Medal.